Symptoms of Water in a Car’s Gas Tank and How to Fix it? up the tank from the pump or from condensation within your fuel tank due to weather. Here are some of the symptoms that you may experience if there is water in your gas tank. We will also go through how you can fix this problem. One of the symptoms that you will immediately experience if there is water in your gas tank is trouble with acceleration an hesitation. 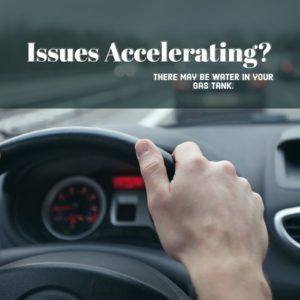 If you have trouble getting up to highway speeds yet there is nothing wrong with the rest of your vehicle, you should look into the possibility of water in your tank. You may also experience volatile changes of speed that you do not implement while driving. This may also take the form of a sputter. 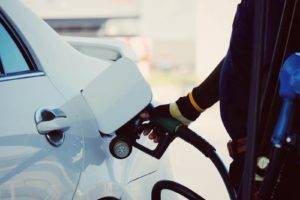 If your gas tank is full and your car still sputters when you hit the accelerator pedal, then you may want to look into the possibility of water contaminated fuel. The best way to remove all water from the gas tank is to simply replace the entire volume of gas that is being used. This may seem like an expensive alternative to some drivers; however, the damage that you will be avoiding to your car is more than worth it. 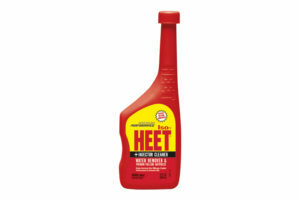 HEET® is a fuel additive that is made for removing water from the gas tank. However, if there is more water in the tank than there is gas, fuel additives will not work. If you do not have the wherewithal to perform this procedure on your own, it is well worth the time to get a professional mechanic to take on the job. Water in a tank can cause thousands of dollars’ worth of damage to a vehicle if not dealt with properly. I had rust in a motorcycle tank. I used Apple Cider Vinegar to remove the rust and immediately rinsed with distilled water mixed with 3 tablespoons of Bakingsoda to neutilize the acid from the Vinegar. I did this twice and then rinsed several times with filtered water/final rinse with distilled water. I dried the tank best I could with hair dryer including heating seems of tank to help. I could not hear any water, yet sure some small amount must still in tank??? I then filled tank with non ethanol regular gas. I will not be starting bike for several months, and will drain tank again before attempt to start, but would have more piece of mind to get remaining water out now. Is Heet product you speak of the best or do you recommend something else? In this case, We’d recommend adding STA-BIL 360® Performance™ or STA-BIL 360® Marine™ to this fuel which will neutralize any water that may have remained in the tank and preventing rust and corrosion. Or, simply keep a bottle of ISO-HEET® Brand (the red bottle) ready. When you are ready to drain the fuel tank again, add some ISO-HEET® to remove this excess water. Please contact us at marketing@goldeagle.com if you have any questions about this.Thank you. Hello, since we are not able to assess your Nissan in person, we recommend taking it to your nearest professional mechanic to be looked at. After filling with gas my van misses badly after the engine has warmed up. Have put additives in gas tank, injector cleaner, replaced fuel pump, filter, computer and spark plugs. F150 2016…..hesitates pulling out and when down gearing to stop. 2. Instrument Cluster dries out, turns off the gauges with lighting, camera, and radio….This is another cluster I purchased on eBay. When I remove the cluster, and pull out the main harness and replug, the radio, camera works fines…but when I replug back the IC, starts acting up, turning all types of symbols, lights, and goes out. Hi Rakesh, since we are not able to assess it in person, we suggest taking it to a professional mechanic. Thank you. A friend brought me 3 gallons of gas when I ran out. I put most in tank then used a funnel at the end to get the last out. At that time I noticed gas was a white milky color!! Water?? Hello,it sounds like there may be some contamination. Since we are not able to assess the vehicle in person we suggest having it looked at by a trusted professional mechanic. Hi Calvin. Since we are unable to assess your car in person, we suggest taking it to your trusted professional mechanic. Hey, I’m having problems with my car, but I am too cheap to take it to a professional mechanic. So I figured I’d post in an internet forum about products that remove water from fuel. Makes sense right? Come on people. Really? Please contact us at marketing@goldeagle.com if you have any questions about how any of our products can help your specific problem. Jared was making fun of all the people asking you guys to diagnose their car over the internet. Really though, props to you guys for putting in the effort to respond to these people, even just to politely tell them that you can’t help them. I’m actually reading this article because I have an XJ6 (two gas tanks) that has been off the road 10 years and has gum and dirty dried up fuel inside. I’ve scraped the inside and rinsed it out and plan to try out HEET in both tanks to take care of any trapped moisture. Does HEET mobilize the water so it can be run through the fuel system or is it somehow converted into something combustible? Hi Ian, we always try to help anyone who has a question the best that we can! Yes. HEET will break away water particles for easier combustion. However, we would highly recommend trying ISO-HEET as it is specifically designed for more efficient water removal. Please contact us at marketing@goldeagle.com if you have any questions about this! In this case, it seems that there is a chance that they might’ve gotten a little more water than what would be considered “safe” (over 1oz per gallon would be considered too much). Because water is typically heavier than gas, it will drop to the bottom (phase separation). This means the bottom fuel would be the most affected. Of course, if the fuel is shaken or stirred, then all fuel would be contaminated. If the fuel was taken from the bottom (syphoned or drained), then the friend might have gotten the most water. In either case, I would rather recommend not using this fuel and if it must be used, use a water remover such as ISO-HEET and dilute with fresh fuel as much as possible. Please contact us at marketing@goldeagle.com if you have any questions about this. Thank you. My car has been sitting for about a year now due to being totaled. I was occasionally starting it to keep everything moving engine-wise, but stopped for a few months because I had to cannibalize the AC compressor; that belt also ran the water pump. Once I attained a belt that would allow me to run the car minus the compressor, it ran fine for a while during the next startup, but then died after about 10 minutes. The engine now still cranks and tries to start, but won’t run. Could this be water in the tank from condensation? I live in Phoenix where the temps wildly fluctuate through the winter months. While this issue could be caused by water in the fuel, this seems like it could also be mechanical failure in nature, or due to bad fuel –depending on how old the fuel is. If after adding ISO-HEET and fresh fuel does not fix the issue, then the next best option could be consulting an automotive mechanic. Hi, Robert. It seems that you may have already done all that you could, based on the previously diagnosed water issue. However, before you take it in for further servicing, I would recommend driving until the tank gets to about 10% full, refill completely with high octane fuel, and then see how the vehicle behaves. Adding a fuel system cleaner may also help such as 104+ Octane Boost. If the problem persists, then perhaps the next best option is to have a mechanic look further into it. Please contact us at marketing@goldeagle.com if you have any questions about this. Thank you. I wasn’t sure if this is water or what it might be. But when filling my tank, the gas nozzle stops and won’t continue to pump continuously in a steady flow unless you hold the handle and pump at a low volume. Any idea what this might be? I can fill the tank, but it takes forever. Hi Patri, since we are unable to assess your car in-person we would suggest taking it to a professional mechanic. Thank you. I had just filled my gas tank with premium gas. I decided to get my car washed and when I drove out of the car was, I noticed that I had left the cap hanging and the flap open. I do not know how much water was able to get in my tank. I don’t know what to do. I drove my car home without a problem. Please help!! Hi Gloria, If the vehicle has not had any performance issues such as rough idling/handling, hard starts or stalls, it can be safe to assume that it should be OK. However, for safety’s sake, I would recommend adding a bottle of ISO-HEET to remove any water that might be in there safely and clean the fuel system. Also, make sure that you get rid of most of the suspect fuel and start fresh again. Please contact us at marketing@goldeagle.com if you have any questions about this. Thank you. Same thing happened to me. After filling my car and as I was checking my receipt if car wash was included in it I forgot to close my gas tank. As I parked my car after the car wash to inspect it I noticed the cap was left hanging. My worry is it’s not only water but also the chemicals used in cleaning. I hope the ISO-HEET will do the trick. What are the symptoms of the P0181 code? Hi Mera, since we are not able to assess your car in person, we would suggest taking it to a trusted professional mechanic. Hello! You may use Iso-HEET® Water Remover & Premium Fuel Line Antifreeze + Injector Cleaner. This will help to remove water in the fuel. We recommend 1.5oz. per gallon if there is less than 8 gallons in the tank. If you have any other questions please contact consumer support at producttechsupport@goldeagle.com. should I put heet into a lawnmower engine to get the water out? will it help? I drove thru a car wash after filling up and forgot to put the gas cap back on. Could I have gotten water in the tank and or very much? Do all I need is to add something like heet to take care of it? Hello! Yes, we recommend the Iso-HEET® Water Remover & Premium Fuel Line Antifreeze + Injector Cleaner. This is specifically designed to help remove water from the fuel system. If you have any other questions please contact consumer support at producttechsupport@goldeagle.com. I have a 2012 carmry and it started sputter after I got some gas cheap. I use fuel cleaner and it help should keep using it and no it was not (heet) use other brand. it still sputter when I put foot on gas it sputters and then is stop and then it might do it again. Hello! Thank you for the question. However, in this particular situation, perhaps it would be helpful seeking a second opinion from a different professional technician. If you have any other questions please contact consumer support at producttechsupport@goldeagle.com. I added 6.6 gallons of boat tank fuel to my 20 gallon car tank which had about 9 gallons already. Symptoms soon arriving after 2 startups and maybe 6 miles defined there was water in the boat fuel. I have added (2) 12 oz Iso-Heet and started OK then became rough running, water and black carbon on my garage floor under exhaust pipes. I then added 5.5 gallons of premium fuel and found I had to push accelerator to floor to start, then after a bit idled well, then rough, again water and carbon, and engine overheated. How much more Iso-Heet can I add ? It is not possible to siphon more than the top 2-3 gallons due to severe bend in fuel filler pipe in 1996 Buick Estate Wagon, 98K miles, engine great until I created an unexpected problem. Thank you for any advice you can provide. Hi, Richard. We do not recommend adding more than 2 bottles at a time per tankful. Adding more will not be more effective and might change the way the fuel is burned. The best thing to do is draining the bad fuel. However, if this is not a possibility, try running the fuel as low as possible and then refill with premium fuel. At this point we recommend adding a bottle of ISO-HEET® instead (red bottle). This should do the trick. If performance issues continue, perhaps consulting a mechanic would be the next best option. If you have any other questions please contact consumer support at producttechsupport@goldeagle.com. I only put about 4gallons of gas, and the things stated are what happen to car, can I still put the Heet in and then fill up? Hello! We recommend adding HEET® to a full tank. However, if there are only 4 gallons in the tank, we recommend adding about 2-3 ounces of HEET at the most. If you have any other questions please contact consumer support at prouducttechsupport@goldeagle.com. I don’t know why I am unable to join it. Is there anybody having similar RSS problems? i have a 2016 kia optima with almost 16000 miles. today i stalled at a stop sign and it took about a min. to start . going it felt like the motor was firing of 2 instead of 4. after a couple of miles it ran like new. does this sound like bad gas? I think the gas was bad? How long does it take for HEET to work? I put some in my motorcycle tank and let it run for a few minutes and now I’m having issues again. Should I let it sit for a few days? Should I have ran it longer before heading out? I have a 2013 Hyundai Sante Fe Jeep…i was on E and I had 2 two gallon jugs of gas that had been sitting on steps and I used them to put in gas tank. The tanks were filled about 2 mths ago and the level of them still looked almostbto the top so if it was water mixed in it didnt change the level alot. Wasn’t thinking about the fact that it rained the night before and possibly could be water mixed in. Immediately before I could even get down the road good the car puttered and would not accelerate and then it just cut off. I went and added 3 more gallons of clean gas to it and it cranked once but wouldn’t stay on. Would you recommend using Heet and more clean gas since its not alot of water in it…what should I do? Hello! We recommend trying Iso-HEET® Water Remover & Premium Fuel Line Antifreeze + Injector Cleaner to remove as much water as possible and help clean the system. If the issue persists, draining the tank and refilling it with fresh fuel may do the trick. We were driving through heavy traffic at speeds of 0 to 2 miles per hour in heavy rain on the inter-state 21o in L.A.
separate. We have contacted the service station involved to complain. I have an old 1992 Ford Ranger, and I was having problems like this, so I went by the parts store and got some Heet, and put in my tank, then I went by Fred Meyer gas station in Springfield, Oregon and filled my tank. It started getting worse than it was before. It might be some other problem I don’t know for sure. It has been over 3 years since I got a tune up so that might be it. If you put in a bottle of Heet in a full tank of gas 16 gallons, how long will it normally take for it to solve the problem? Hi, Shelby. If added to less than 20 gallons of fuel, it can take 15-30 minutes, depending on how frozen the lines are (or how cold it is outside). If the engine does not start after 1 hour, do not add any more HEET and perhaps it would be a good idea to seek a certified mechanic’s advice. Hello! This does seem like “bad gas”. Usually, the best thing to do is to add a “dry gas” additive, preferably with a fuel system cleaner and burn it out as soon as possible. If adding fresh fuel from a trusted source the engine still is acting up, perhaps having a certified mechanic take a look would be the next option as this could also be due to mechanical problems. Hello. I have a 2015 GMC Terrain GMC and I live in Milwaukee,. WI, where Wind chill hits -50. I have only had the suv about 5 months. I haven’t experienced any problems yet. Would pro-actively using HEET fuel additive for removing water from gas tank cause more harm than good? My car fuel line seems to be frozen. I had half a tank of gas when this happened. I put in heet with 3 gallons of gas. Fuel gage showing empty. Can you put in too much heet? Recently right after -20 degree temperature car won’t start. The car ran the day before two consecutive days of -20 degrees. The car turns over and sputters but will not start? It has been a week since it started and temperatures have been in the teens. Any suggestions? Could it be water in fuel line due to condensation? Hello! Yes, this could possibly be due to condensation. We recommend to try the red bottle ISO-HEET and see if this helps to solve the problem. Thanks for the info on the above topic. My van started running exactly as you described. Heet has made a difference. My question is why doesn’t EPA inspect gas stations for this problem? How do we, the consumer know what gas stations are safe to buy your fuel? I bought mine from a well known brand and still got some water in my fuel. Thanks I am happy that you found this article informative and i helps a lot for users.